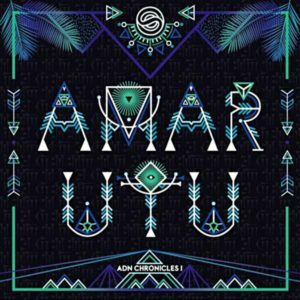 ADN Music is proud to present its first label compilation, Amar Utu, which features one track from each of our producers. Step into the Sumerian empire and meet their main god, creator of the cosmos, represented as a both snake and dragon. This release is also the first chapter of ADN Chronicles, where every year we will present the music of our artists and explores ancient cultures and myths. Expect to hear psychedelic sounds between lightness and darkness, groovy bass lines, mental and twisted leads, and a sound evolving through twilight, darkpsy, and hi-tech. Thanks to all ADN Music family. Graphic design by Ghashgaie (ADN). Mastering by Charles Zoltan (ADN). MP3 Download | FLAC Download | WAV Download · Download count: 7,931. Loving that sample from track 1. Perfect mix with those jazzy grooves. Really nice, I had to comment this.Ohnoma Topee’s track is a pleasure for the ear, will stay tuned on this ADN music!